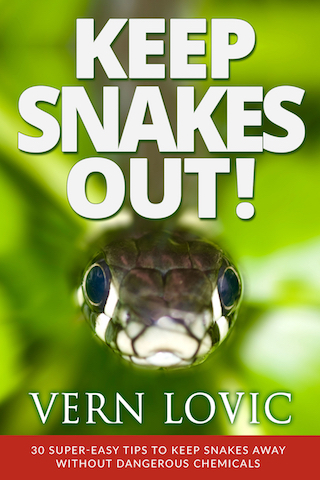 This is our latest book which is our answer to all the email we’ve had over the past few years asking us for help to keep snakes away from homes, yards, businesses. DO YOU HAVE (or suspect) SNAKES AROUND YOUR HOME? Keep snakes away from your home and family with these easy to implement tips. Click cover of book to see online. 30 Very Easy Tips You Can Start Today! 67 Info-packed Pages + Photos! Keep Your Family Safe STARTING TODAY! This book = $5 and can help you Keep Snakes Out. The link above takes you to Paypal where you can pay with credit card, bank balance, etc. You don’t need to be a member.